This chair was originally designed by Charles and Ray Eames in the late 1940s and has become an iconic classic of designer furniture. 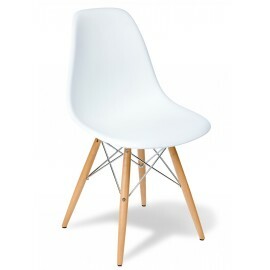 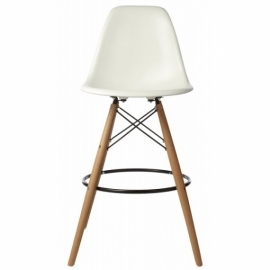 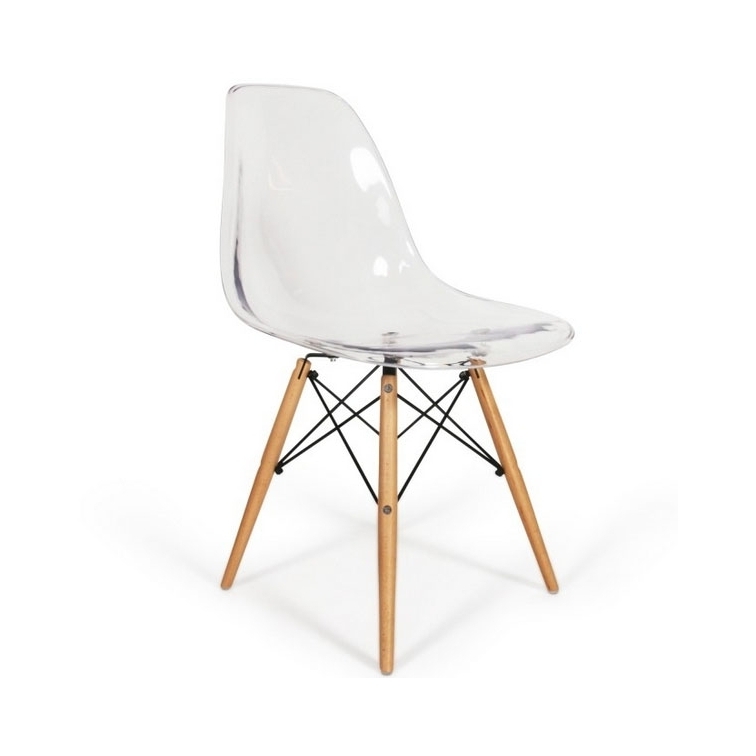 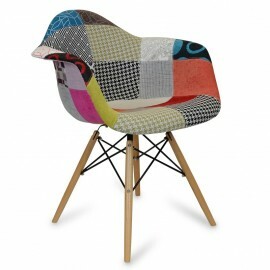 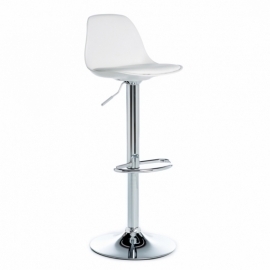 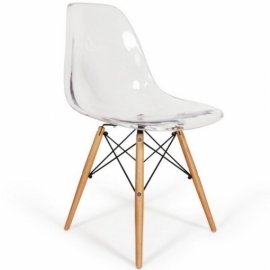 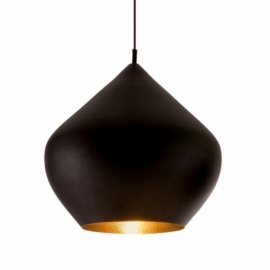 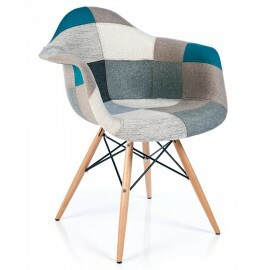 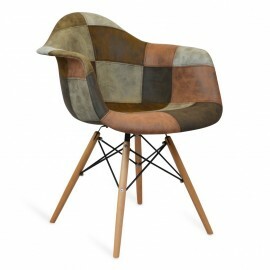 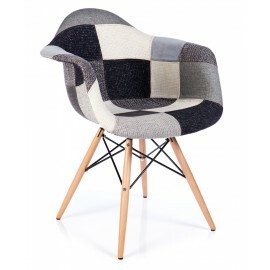 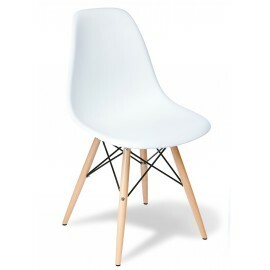 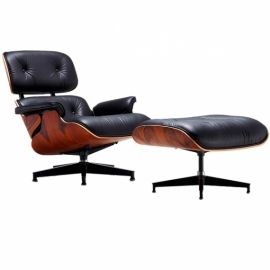 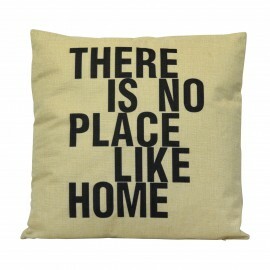 Inspired by the Eames DSW chair, this piece stands out with its high quality material and contemporary look. 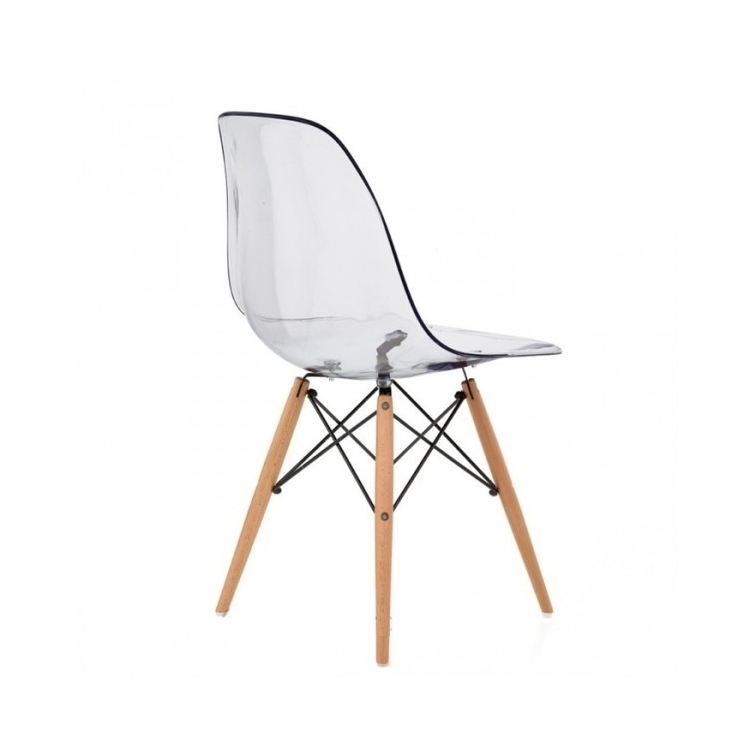 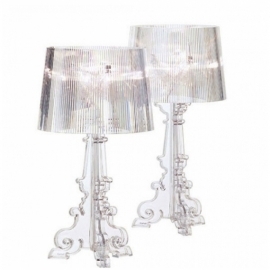 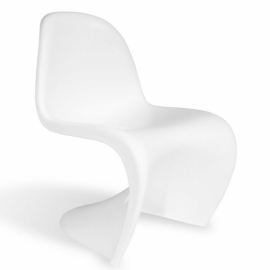 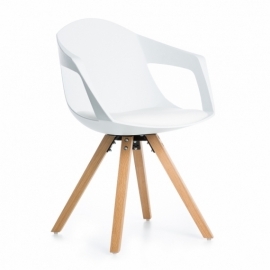 The seat is molded with clear polycarbonate which gives this chair a transparent appearance. 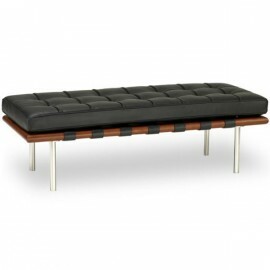 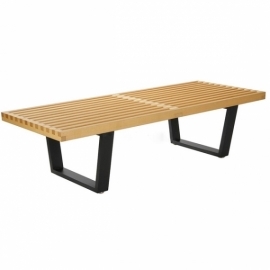 The clear finish of the seat is beautifully contrasted with solid wood beech legs and black lacquered steel braces. 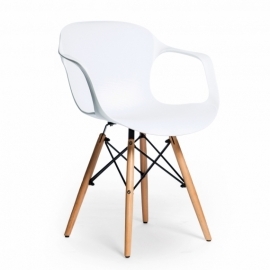 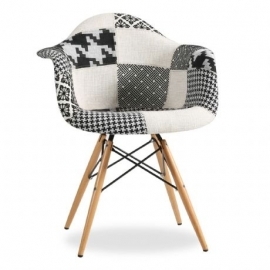 The simplicity of this designer chair will fit perfectly with your decor. 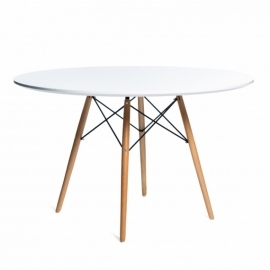 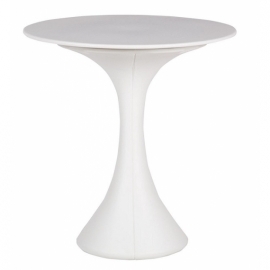 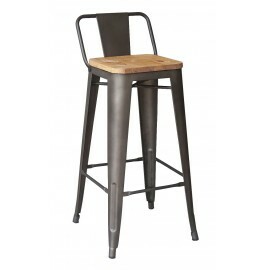 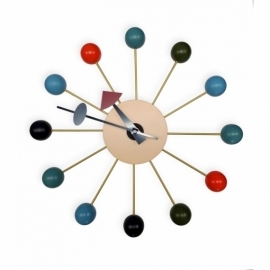 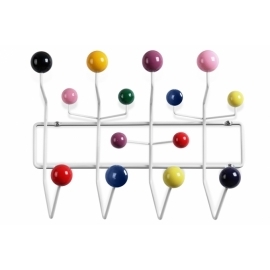 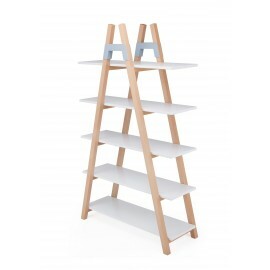 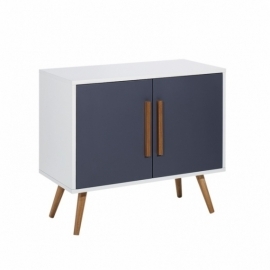 Wooden base constructed of natural beech wood, Reinforced with steel rod inserts. 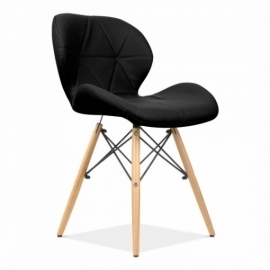 Support braces in black lacquered steel. 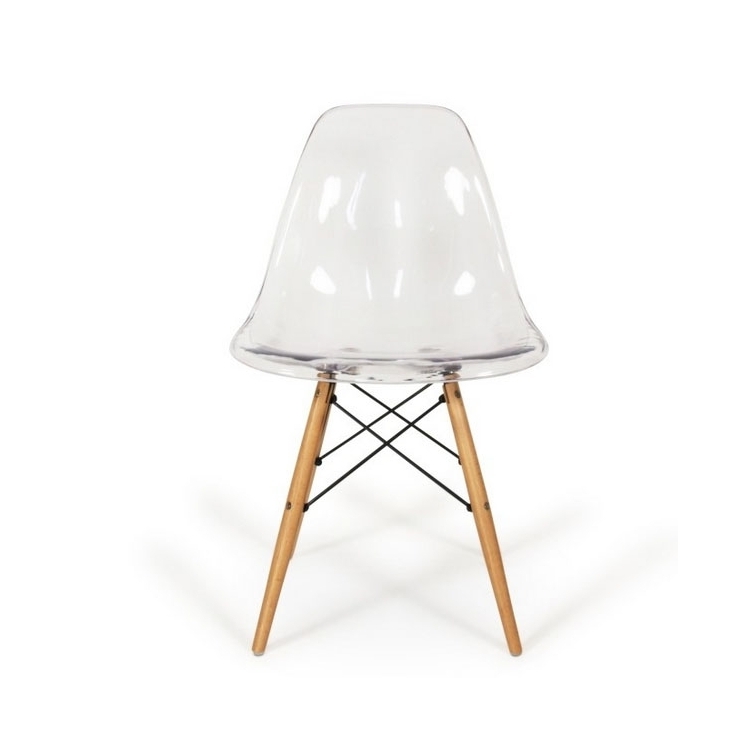 Seat constructed of transparent polycarbonate. 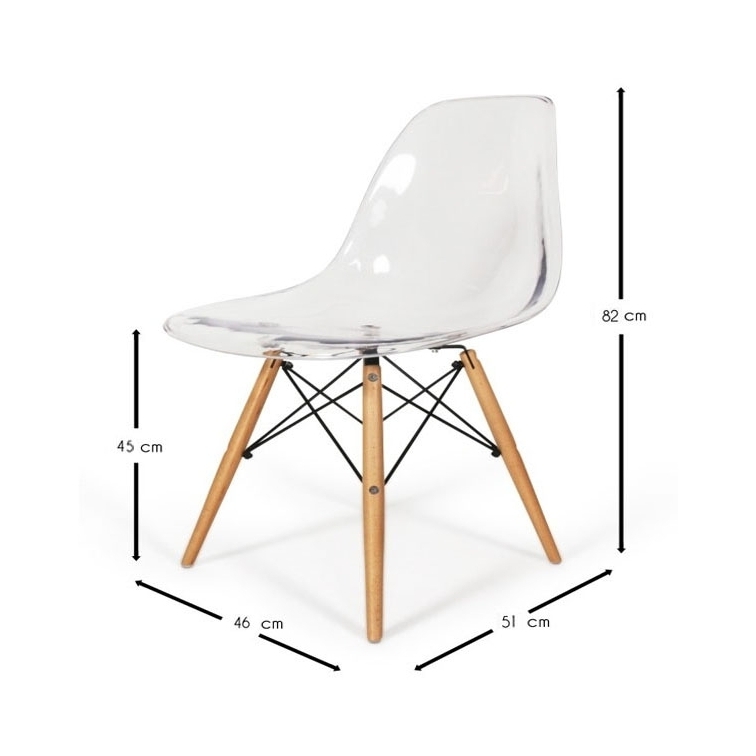 Comes with plastic floor protectors.